Washington - More than a year after President Donald Trump threatened Pyongyang with “fire and fury like the world has never seen,” the US leader now boasts of his relationship with North Korean strongman Kim Jong Un. Trump told a rally Friday in Springfield, Missouri, that he received a “beautiful letter” two days ago from Kim. But he did not detail what the letter said. 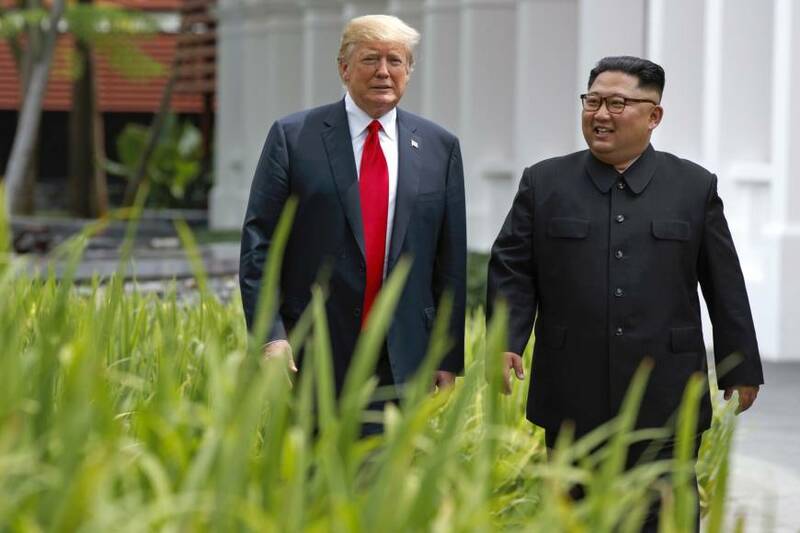 The U.S. leader has claimed a diplomatic win, citing the “tremendous progress” and “great responses” from Pyongyang since he met Kim at a summit in Singapore in June. The historic meeting resulted in a lofty joint statement, though momentum appeared to have stalled in recent weeks, with the two sides unable to agree on how Kim would get rid of his nuclear weapons. But on Friday, U.S. Secretary of State Mike Pompeo said he hoped for a second summit between Trump and Kim “before too long” to press ahead with efforts to denuclearize North Korea. “There’s still a little bit of work to do to make sure that the conditions are right and that the two leaders are put in the position where we could make substantial progress” toward the denuclearization of North Korea, Pompeo said in an interview with Fox News. Still, Trump said he won’t rush into any deal with Kim. The developments came after Kim this week welcomed South Korean President Moon Jae-in to Pyongyang. Experts praised the positive developments, but cautioned much remains to be done, noting the steps Kim has so far taken do not ensure North Korea will get rid of its nuclear weapons. “Trump still thinks the first (summit) was a major success,” said Jon Wolfsthal, director of the Nuclear Crisis Group. “He needs a foreign policy success soon to reverse his domestic decline,” the former Obama administration official added. Pompeo has said Washington is ready to “immediately” begin negotiating with Pyongyang, and has invited his North Korean counterpart to meet on the sidelines of next week’s United Nations General Assembly in New York. But the top U.S. diplomat has quietly ignored North Korea’s demand for countermeasures, such as sanctions relief, as Washington long insisted on denuclearization before it rewards Pyongyang. “Nothing can happen in the absence of denuclearization,” State Department spokeswoman Heather Nauert said. While Washington isn’t budging on sanctions, Trump has indicated he is ready to independently offer other concessions, a move Kim may be counting on. “After a nice letter from (Kim), the president says he’s willing to have a summit — though none of the problems have been fixed,” said Bruce Klingner, who formerly worked for the CIA and now specializes in Korean and Japanese affairs for the Heritage Foundation think tank. The U.S. could try to use North Korea’s eagerness to meet with Trump as some sort of leverage to get concrete steps ahead of the meeting,” Klingner added. Still, many experts view the prospect of new talks positively. 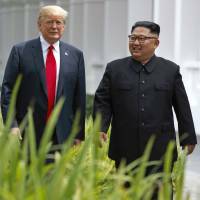 While the announcements made by the North this week are limited, “it is the first time where we have seen this initiative where North Koreans are willing to talk to South Koreans about denuclearization,” said Joseph Yun, who was the U.S. special representative for North Korea until days before Trump accepted the Singapore summit invitation. “The offer is worth pursuing,” added Wolfsthal. Contrary to the all-or-nothing approach espoused by the Trump administration, U.S. officials appear to be engaging in a process of limited reciprocal concessions. The Singapore summit agreements imply “action for action rather than one party doing everything at once,” Yun said. “Any expectation that North Korea will completely denuclearize, give up nuclear weapons, give up missiles, give up fissile material, destroy sites before anything is done on any other front is completely unrealistic,” he added.